Norman Bel Geddes was one the most prestigious designers of the modernist era, his greatest and most well known achievement is "The Futurama" in 1939. Futurama was all about showing people what the future would look like in 30 years time, including transitions into highways and funky car designs, with sleek beautiful skyscrapers and neatly organised street blocks. The exhibit extremely impacted popular culture and there are multiple TV Shows and Video games (i.e. Futurama, Fallout series) that draw reference from it. This exhibit also inspired a "sequel" which looked even further into the future, in a time where humanity ruled the universe. However this was not his only accomplishment, his ideas have influenced design for decades, although they were not very popular at the time, his methods are widely used today especially in film. Norman actually started his career in Film and employed his Streamlined Style on more than a hundred shows. Fastcodesign.com. (2016). [online] Available at: https://www.fastcodesign.com/1671546/rediscovering-norman-bel-geddes-the-visionary-who-laid-out-americas-future [Accessed 7 Sep. 2016]. Goldberger, P. (2016). Back to the Future: A New Look at Modernist Hero Norman Bel Geddes, Designer of the Original 1939 “Futurama”. [online] Vanity Fair. Available at: http://www.vanityfair.com/culture/architecture/2013/10/norman-bel-geddes-designer-original-futurama [Accessed 7 Sep. 2016]. MCNY Blog: New York Stories. (2013). 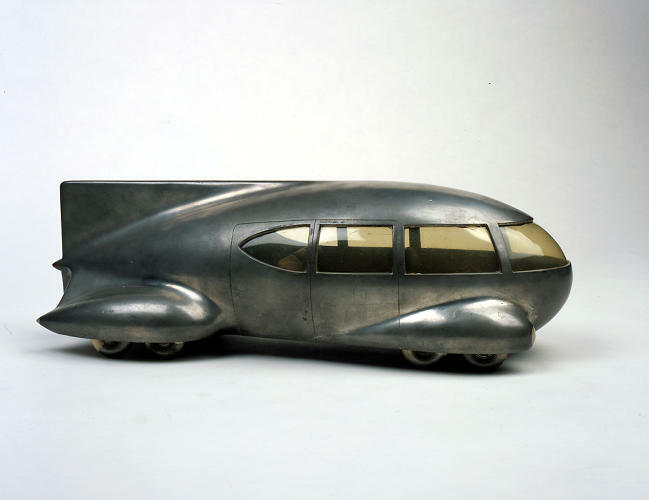 “I have seen the future:” Norman Bel Geddes and the General Motors Futurama. [online] Available at: https://blog.mcny.org/2013/11/26/i-have-seen-the-future-norman-bel-geddes-and-the-general-motors-futurama/ [Accessed 7 Sep. 2016]. WIRED, T. (2016). The Original Futurama. [online] WIRED. Available at: http://www.wired.com/2007/11/ff-futurama-original/ [Accessed 7 Sep. 2016].